Full grain brown leather upper. Waterproof and breathable Samsung membrane inner lining. Padded tongue and collar for added comfort. Steel toe cap protection and steel midsole protection. PU comfort insole. TPU dual density outsole. Anti-Scuff toe guard. TPU Heel support system. 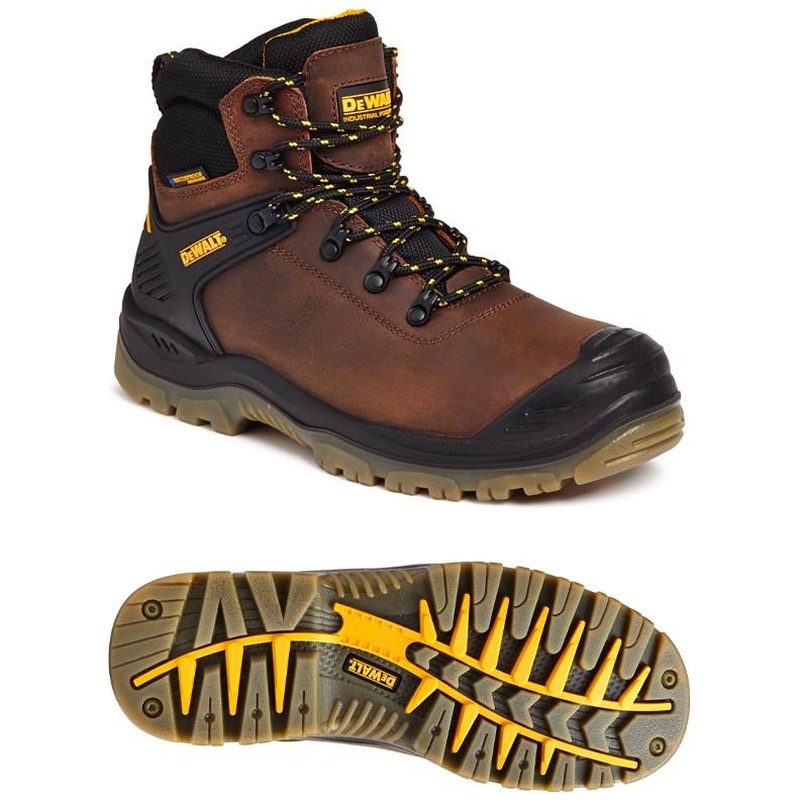 A high quality waterproof safety boot from DEWALT.